Based on the popular cat collecting game Neko Atsume: Kitty Collector comes this adorable series of blind boxed mini figures! Each blind box includes one random Neko Atsume figure. Each mini figure measures approximately 2-inches long. There are six different Neko Atsume mini figures in this assortment. Which one will you get? Collect them all! 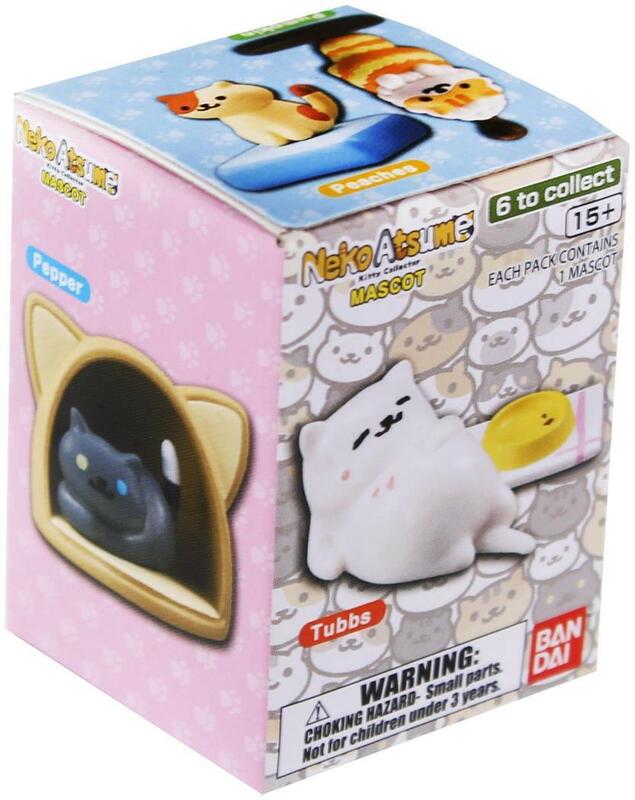 Based on the popular cat collecting game Neko Atsume: Kitty Collector comes this adorable series of blind boxed mini figures! Each mini figure measures approximately 2-inches long. Each blind box includes one random Neko Atsume figure. There are six different Neko Atsume mini figures in this assortment. Which one will you get? Collect them all!